To understand the dramatic change happening to the United States, you need to understand who the Americans are. 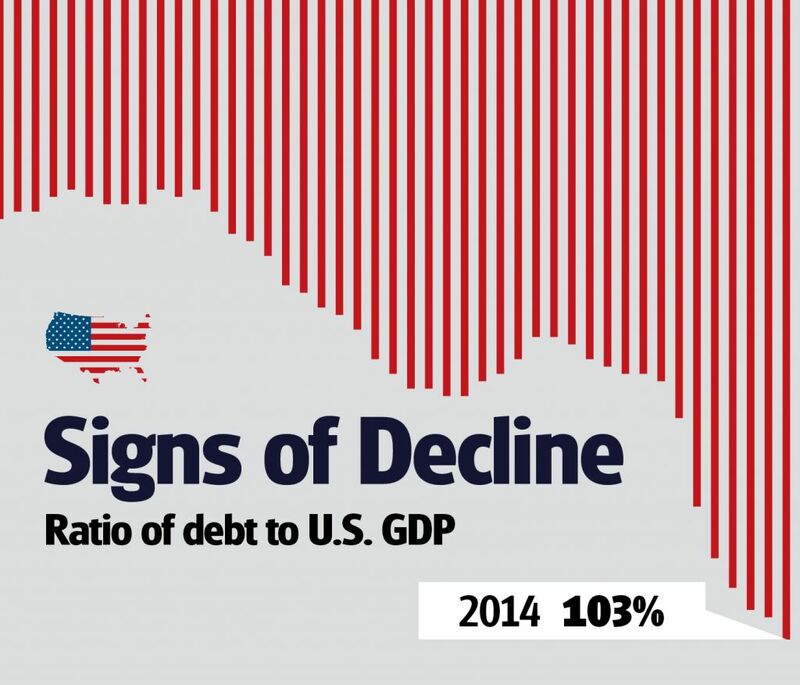 America is declining—culturally, economically and militarily. The world’s only superpower is fading, qualitatively, quantifiably and undeniably. A lot of people recognize this historic decline, but few can answer the urgent question: Why is this happening? To understand what the immediate future holds for America, you have to understand its past. You have to understand who Americans are. Yes, America was colonized by the British Empire. But its roots go much deeper. Here is another, seemingly unrelated question: Why do so many Americans use the Hebrew Bible? The Bible focuses on the history of one people: the Israelites. So why has Israel’s book affected the culture, the reasoning, the traditions and the foundational laws of Americans, of all people? Less than halfway through its first book, the Bible zooms in on just one man, Abraham, the father of the Israelites. Besides Israel, the only nations, or even empires, the Bible records are those that come in contact with Israel. One third of the Bible consists of prophecy, and that prophecy addresses Israel almost exclusively. The Bible is a book about the history and future of Israel, inspired by Israel’s God and delivered through Israel’s prophets and apostles. The Bible Americans have is Israel’s Bible. America’s precepts of justice, freedom, common good, individual rights, equality, fairness and the rule of law trace back to the holy book of Israel. Why? Because the majority of Americans descended from Abraham. America is a part of modern-day Israel! For proof, start at the beginning and go to the Bible—a religious book that undeniably impacted the founding and history of the United States. The first book, Genesis, records the story of a man who believed and obeyed God: Abraham. God promised this man that if he left everything behind and followed Him to a new land, “I will make of thee a great nation …” (Genesis 12:1-2). Abraham lived his life obeying God’s commands and believing Him. God expanded His initial promise, saying that Abraham’s descendants would become powerful and wealthy and would spread around the entire world. Genesis 12:1-2 | God promises Abraham that his descendants will become a great nation. Genesis 17:1-6 | God promises Abraham will be a father of many nations, not just one. Genesis 22:16-18 | God promises that the birthright nations among Abraham’s descendants will possess the gates (access points) of their enemies. Genesis 26:3-5 | God promises the birthright nations will multiply as the stars of heaven. Genesis 27:26-29 | God promises the birthright nations will become wealthy and rule over other nations. Genesis 28:13-14 | God promises that the birthright nations will spread worldwide. Take an objective look at these promises in the Bible. If you believe that God exists, the Bible is His Word, and that He keeps His promises, you should look for Abraham’s descendants to appear prominently in history. You should be able to see them take shape at some point as one wealthy, powerful nation and as a group of nations—a superpower and a commonwealth, you might say. Has there ever been a people that grew into a nation that developed an extremely wealthy economy, spread around the world, fielded a super-powerful military, exerted influence over its enemies and controlled the choke points of the world? Has there ever been a nation that fits all of these descriptions and at the same time was closely related to a commonwealth or “company of nations”? 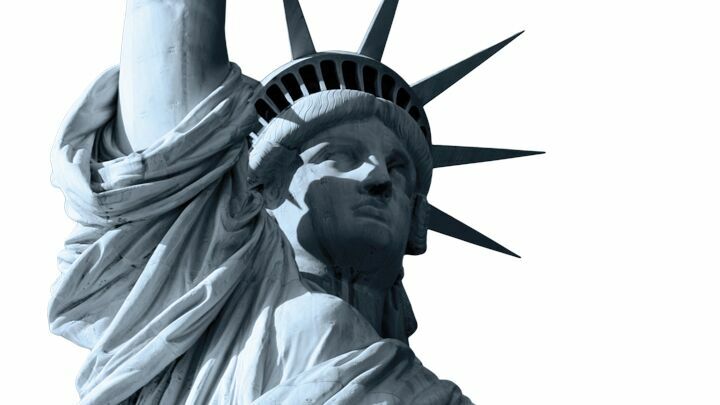 There’s only one: the United States of America. America has been the world’s greatest singular superpower, and it came directly from the world’s greatest empire: Britain. The British Empire, and later the United States, projected power all around the world and controlled almost every important sea gate/trade route in the world. No other nation and empire fulfill those promises so specifically and fully. But this is just one undeniable proof that the modern descendants of ancient Israel are America and Britain! The Bible records that Abraham’s children flourished into the 10-tribe nation of Israel. In Genesis 48, Abraham’s grandson Jacob—whom God renamed Israel—specifically assigned his name to Ephraim and Manasseh, saying that one of these descendants would become a “great” people (the United States), and that the other would become a “multitude of nations” (Great Britain). If the American and British people aren’t the modern Israelites—a populous, widespread, multinational, wealthy, powerful nation and company of nations—then no one else has fulfilled or is fulfilling those promises God made. And if those promises failed, then the Bible is irrelevant and its many prophecies about Abraham’s modern descendants are pointless. But if God’s biblical promises are true, those hundreds of prophecies apply right now. This still leaves many questions: How did the Israelites migrate from the Middle East to the British Isles and North America? How did they lose their identity? Why did it take so long for God to fulfill those promises? These are great questions, deserving great answers and further proof. Whether you realize it or not, the answers to those questions link directly to this urgent question: Why is America declining? The Bible answers that question! It describes exactly what is happening to the modern descendants of Abraham. Knowing America’s biblical identity unlocks countless biblical passages that explain exactly why the United States is falling so dramatically. If there is a God, and if the Bible is His Word, then America must be modern-day Israel. It is the only nation in history that fits God’s detailed prophecies. It’s up to you to prove this exceptional truth for yourself. To prove this further, read our free e-book America’s 4,000-Year-Old History.